So many afternoons looked just like this over the last few months. 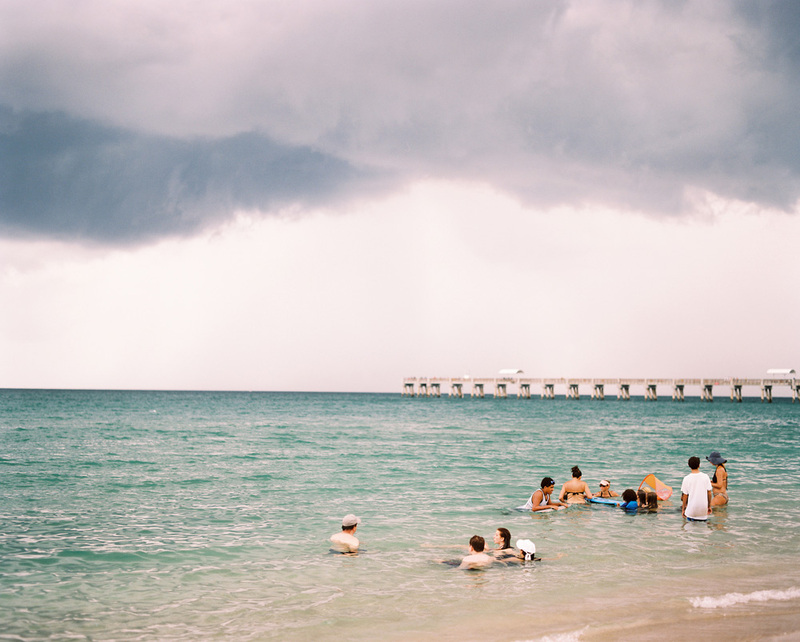 Sunny skies, then storm clouds roll in and the atmosphere of the beach changes completely. The cool breezes blow in from the sea and you can smell the coming rain and see it on the water before it reaches land. Dark grey-blue clouds pour themselves out into the expanse of turquoise and navy and everything in between. The colors of the sea, especially on the edge of a storm, are haunting and beautiful and make me feel so completely alive. and then we run to the car, laughing. free. This is the sixth installment in my ongoing effort to document the people in my life on film. See all posts in this series here.